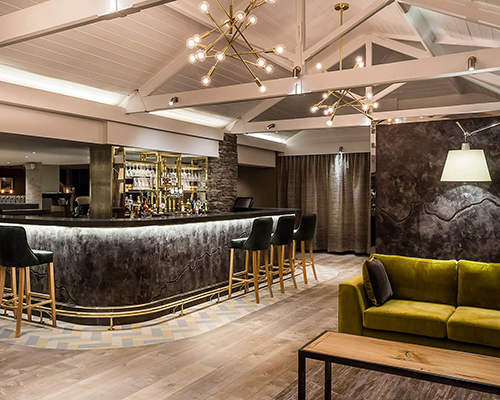 You’ll find Brimstone inside Langdale Hotel – one of the Lakes’ fanciest, four-star joints, settled in its own, peaceful estate, not far from Windermere. This was my second visit to the hotel, but my first time experiencing its spa facilities and therapies, which are regarded some of the best in the Lakes. Pulling up, I fell in love with my surroundings all over again. Ridiculously tranquil and very ‘resort’-like; luxury lodges, some overlooking a mini lake, cocooned by the tallest trees, with breathtaking mountain views serving as the backdrop. It reminded us of the set of Dirty Dancing – like a quiet Kellerman’s. It just has that magical allure. A romantic hideaway for couples. Super soothing for stressed-out mates. A place for big and busy family gangs to get away from it all, unwind and reconnect. The air is crisp and quiet. Somewhere for long walks and lots of good, old-fashioned conversation (even if you don’t want it – phone signal is very poor). Dropping our bags felt like a weight had been lifted from our shoulders. The hotel itself is chic and modern – same for the spa – which is a nice contrast to the rustic, woodland loveliness that surrounds them both. Reception (housed within its own building — more like a lodge-meets-mansion) is warm and toasty, boasting Scandi-chic interiors, chunky blonde wood, flickering log fires and glittering lights. The spa also boasts contemporary good looks and is spotless throughout. Super high-spec and luxurious, with a pool that travels from the inside out, a bubbling outdoor hot tub, super-size saunas, a lavish, deliciously-dark relaxation room, complete with a number of cave-like beds for snoozing, high ceilings and a bright and airy dining area serving lunchy goodness, again channelling a touch of Scandi, with monochrome tiles, light wood walls and ceiling and lime, grey and turquoise velvet seating. One of the most attractive, alluring spas we’ve ever been to. It’s a good job acquiring phone signal is so difficult, otherwise we would’ve had a hard time tearing ourselves away from Instagram. It’s a snapper’s paradise. The leisure facilities blew us away. Just dreamy. Five indoor and outdoor relaxation areas and seven thermal experiences to enjoy. Enjoy a toasty journey from warm to hottest. We took the time to happily float about in the indoor/outdoor pool, making good use of the jets and fountains – great for pummelling sore muscles. Outside, the warm water collides with the fresh, cold air, smelling of pine, awakening the senses. It was well under 10 degrees outside when we visited, but this only added to the experience. Our chum spent a good hour or so curled up outside, blankets in tow, by the open fire, while we worked up a sweat in the large Finnish sauna. Fluffy white robes and proper flip flops (plastic so they don’t become soggy), which you can take home with you, are your uniform. There’s also a great-sized and well-equipped gym on-site, incase you fancy lifting some weekend weights. I opted for a massage, while my chum tried one of the facials. We picked them out on the day, letting our noses lead the way. A spa experience here begins with a neat sensory test, during which you’re asked to close your eyes and smell three scents (a mix of different essential oils), picking which one speaks to your senses the most. The oils your nose chooses, are the ones used during your treatment. You’re even given your mini pumice, made out of linen and filled with your picked aromatic herbs and oils. You’re encouraged to carry this little bag of loveliness in your dressing gown pocket throughout your time in the spa, taking it out whenever and having a whiff whenever you want a little pick-me-up. My treatment was one of the best I’ve had in quite some time, mainly due to my therapist’s ability to deliver a massage that not managed to melt away every ounce of tension – and every last knot – from my shoulders (with impressive force, might I add), but also lull me into a peaceful slumber. Blame it on all the forehead stroking, the phenomenal scalp massage at the end, or the fact that my muscles felt as though they’d just been through bootcamp (in a good way), but I honestly couldn’t fault it. Kudos to my therapist for not being afraid to go to town when it came to pressure. Most don’t, even if reassure them you’ll like it and survive the 90 minutes. My friend, who had never had a facial before due to fears surrounding her rosacea-prone skin, took a leap of faith with the spa’s Sensitive Skin Soother Facial. And I’m happy to report she came out glowing and noticeably more plumped – and confident enough to walk about makeup-free for the first time in about 15 years. The treatment, specifically designed for fragile complexions, tackles redness, dryness, puffiness and lines in a flash, using specialist Elemis products to cool down flushes and flood the skin with moisture. Lymph-loving massage techniques helps drain away toxins, too. She was overjoyed with the results. Take your pick from a range of rooms. The stylish Ultimate Rooms are popular for those celebrating special occasions, while the Waterside Rooms, which come with grand, four-poster beds and balconies over the cascading Great Langdale Beck, are great for couples wanting quiet time. The Lakeland Signature Rooms (one of which was ours for the night) are inspired by landscape, so expect lots of slate, pretty heather hues and stoney shades. It had everything you’d expect from a typical hotel room and was clean, bright and airy, with a great big flatscreen TV with Freeview – no complaints from us. You’ll find them in the heart of the estate, close to the spa and bar and restaurant. Our package included a spot of post-treatment lunch in The Spa Deli; a mix of grains and salad with oven-baked salmon and a slice of quiche. Mugs of green tea were paired with a wedge of traybake heaven from the cake counter. Dinner, which we chose to fork out for, was had over in Stove Bar and Restaurant – the hotel’s main restaurant, open all day and evening (8am-10pm). It’s a venue that could easily survive and flourish as a standalone restaurant – it’s that good. The decor is bright and zingy – lots of lemon, turquoise and fuchsia, bold printed wallpaper and shining silver accents. 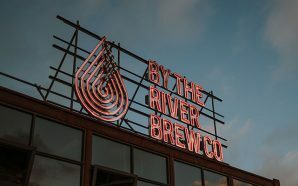 The menu showcases the finest local, seasonal produce, which you can watch being transformed into plates of glory thanks to the buzzy, open-air kitchen. We were seated in the main restaurant area, but there’s also an attractive mezzanine area, offering up beautiful views of the estate and beyond. We sipped on local gin, made in the likes of nearby Keswick and Kendal, and feasted on things like roasted butternut squash with buckwheat, chickpeas and feta (£16), and crab, prawn and lobster ravioli (£20). If you have a sweet tooth, I advise going for the sticky toffee bread and putter pudding (£7), served with custard or a scoop of the chef’s homemade ice cream. That day, he was churning out chocolate caramel brownie – much better than the Ben & Jerry’s stuff. Brekkie the next morning was heavenly; smoked haddock on avocado toast, fluffy waffles with bacon and maple syrup and buttery French pastries, pots of strong tea and the morning papers. Where to begin? Brimstone Spa is an oasis of tranquility and fun – and so cleverly designed. Making your way around the facilities, armed with your little pocket pumice of joy, really does feel like a little uplifting journey. After a groggy three-hour journey, spa staff whisked us away to a land of marvellous massage and blissful downtime, giving us time to chat, laugh and treat our skin and bodies to some much-needed TLC. The food made our bellies swell with happiness and contentment and our surroundings, from the massage table to the bedroom, cocooned us in luxury from day to night. From £290 per room, including one night’s accommodation, unlimited Brimstone Spa access, a 55-minute treatment each, a Spa Deli lunch and breakfast the next morning.